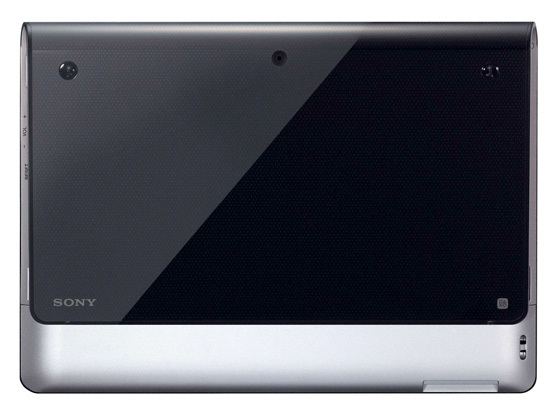 Review Sony may be late to the Android tablet party but it has turned up with something rather unusual and hopefully different enough from the iPad to not suffer the attentions of Apple’s hyperactive legal department. 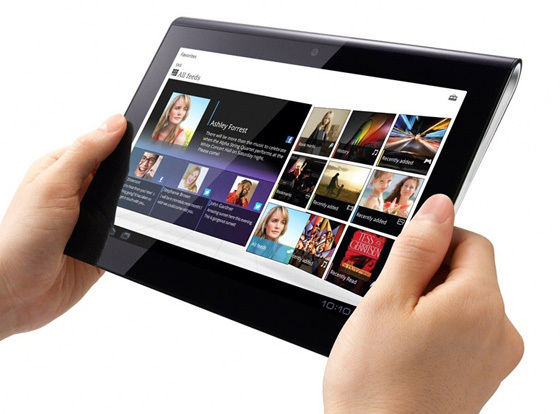 Called the Tablet S, the Nvidia Tegra 2 bits and pieces inside may be as common as muck but the exterior design is certainly unique. Most obviously the screen size is a rather unusual at 9.4in, while the body has the profile of a door wedge. Being twice as thick at the back – where it’s about 20mm taller than the front – doesn’t make it any less easy to hold, but it does mean you can lay it on a table and still see what’s on the screen without having to crane over it, thanks to the angle. At the rear is a pair of slightly rubberised feet. They don’t stick out far enough to be a nuisance, just enough to add another degree to the screen angle and stop it sliding about if you use it one-handed on a polished surface. The bulbous shape does make it extremely comfortable to hold one-handed as an e-book reader – the rounded end sitting easily but still securely against the palm. With 360-degree rotation on offer, both the right-handed and southpaws are catered for. While smaller than the 10.1in norm, the touch display still notches up the 1280 x 800 resolution, resulting in a higher pixel density that makes everything look very sharp and crisp. It’s a very good screen in other ways too. Thanks to the IPS technology, it has excellent viewing angles and it’s very bright and vivid. 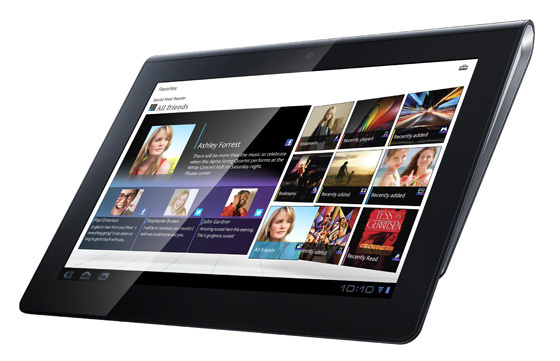 Is it the best Android tablet screen to date? Yes, and by some margin.